Meryl Streep (AUGUST: OSAGE COUNTY, DOUBT, MAMMA MIA!) 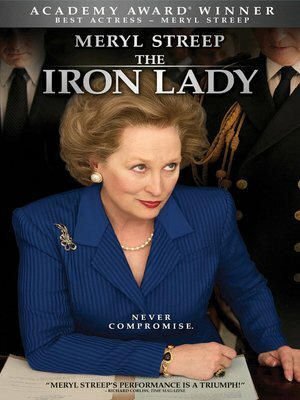 gives an OSCAR®-winning performance as Margaret Thatcher in this surprising and intimate portrait of the first and only female Prime Minster of the United Kingdom. Smashing through the barriers of gender and class, Thatcher is arguably one of the 20th century's most influential women. THE IRON LADY weaves the intricacies of Thatcher's personal life with her policy decisions, focusing on the price that she paid for power.